An oscilloscope is certainly not necessary for someone programming microcontrollers and building small electronic projects. 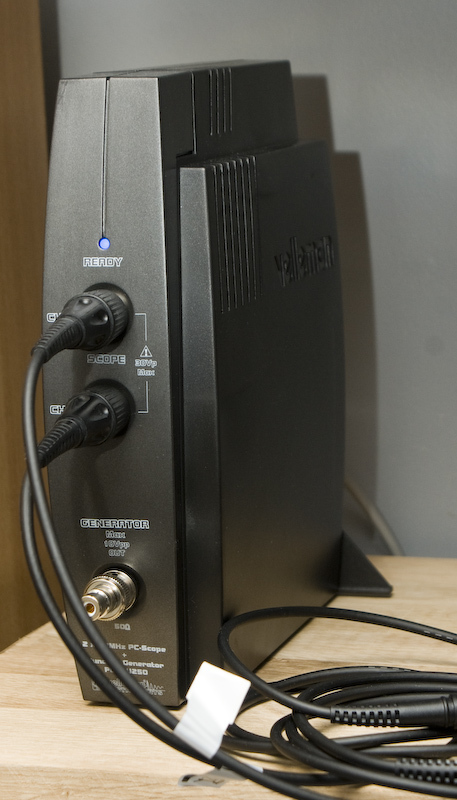 But it does provide a way of looking at electrical signals – and that’s cool, because normally electrical signals are very difficult to see… I had one for a while when I was much younger and remember how much fun it was to look at the signal generated from a microphone. So, I decided to buy an oscilloscope. I wanted a oscilloscope that’s not too expensive, and I wanted one with (at least) two channels. So I ended up buying a Velleman PCSGU250, which is a two channel PC oscilloscope. 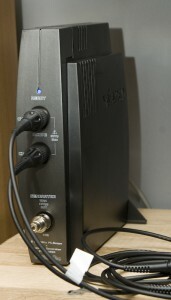 It’s powered by the USB and is completely controlled through the PC software. It also has a very nice function generator and some other cool features. For more info, check out the homepage. Unfortunately, only one probe is included with the oscilloscope, so I had to go back the next day and buy a second probe separately. So, do I really need an oscilloscope? It has certainly helped me understand things such as button bouncing, rotary encoders, how capacitors charge and discharge and much more. Simply: I’m glad I bought it! When I first saw them for sale in a catalog, I immediately knew I needed them! I just had to figure out a good use for them. 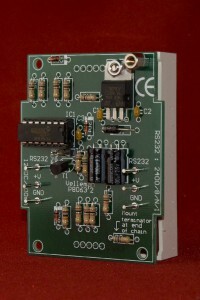 Each kit includes two fairly large 7-segment LED displays from Velleman (K8063) controlled via RS232. Perfect for hooking up to a computer to display… digits..? So I ended up buying two packages. Each digit required some soldering, and as it turns out – they were great for solder-practice! Since I hadn’t done any soldering for quite some time, I wasn’t really as good at it as I though… However I managed to build them all just as intended and I now had a four digit display. 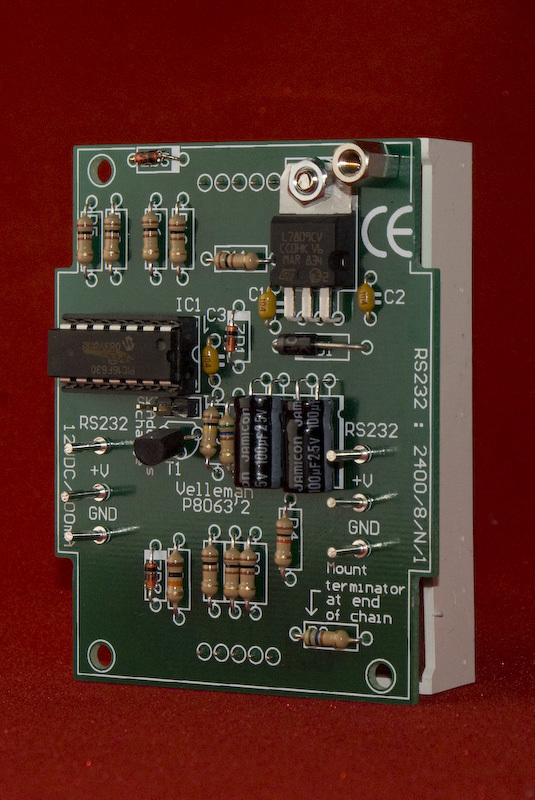 The digits are fairly easy to control by a RS232 Serial connection. 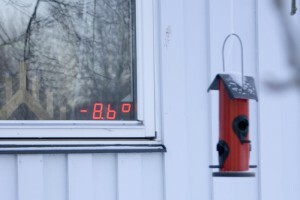 So I developed a software program that reads current weather information and displays the temperature on the four digits. Since I only have four digits I wanted to use them as efficiently as possible. 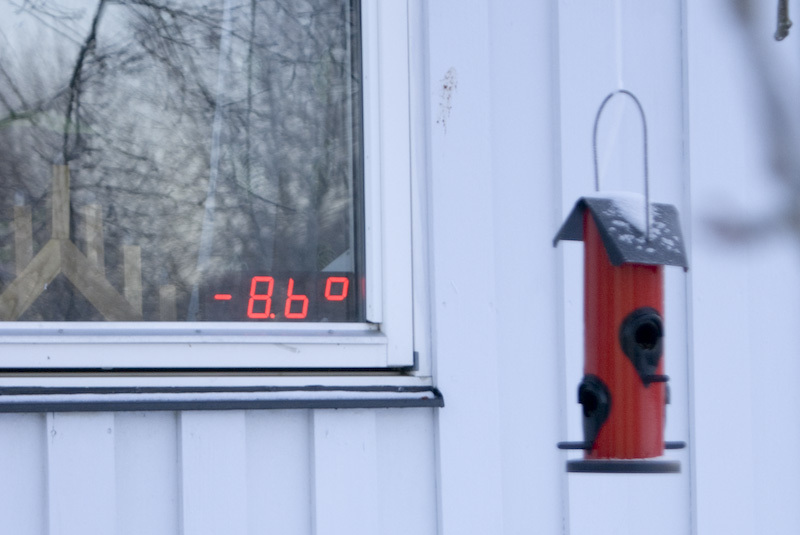 Therefore I choose to display positive temperatures with one decimal and negative temperatures with one decimal only if it’s above -9.9°. The last digit shows a degree-sign (°), which is perhaps not the most efficient use of the digits, but anything else makes it more difficult for people to understand what the numbers mean. Besides just showing the temperature, I set up the software to alternate between temperature and time. Unfortunately, the Velleman K8063 doesn’t support colon (:), so I just use a period between the hours and minutes (13.45, for instance).